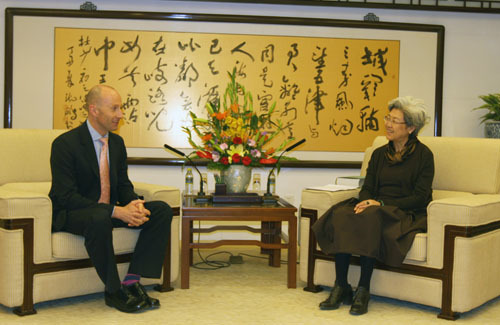 On April 18, 2011, Vice Foreign Minister Fu Ying met with BBC World News Editor Jon Williams on invitation. The two sides exchanged views on issues of mutual concern. Williams said that the external world needs to hear China's voice more and the public in the west wishes to know what China is really like and what China will do? Fu introduced China's policies aimed at promoting mutual understanding with other countries, problems China faced in communication and China's consideration in this respect. She also stressed that the media should disseminate information in a balanced manner.